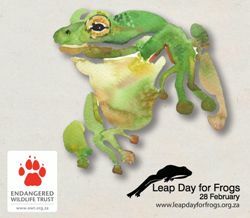 Join Kloof Conservancy for a fun-filled evening, Leap Day for Frogs. 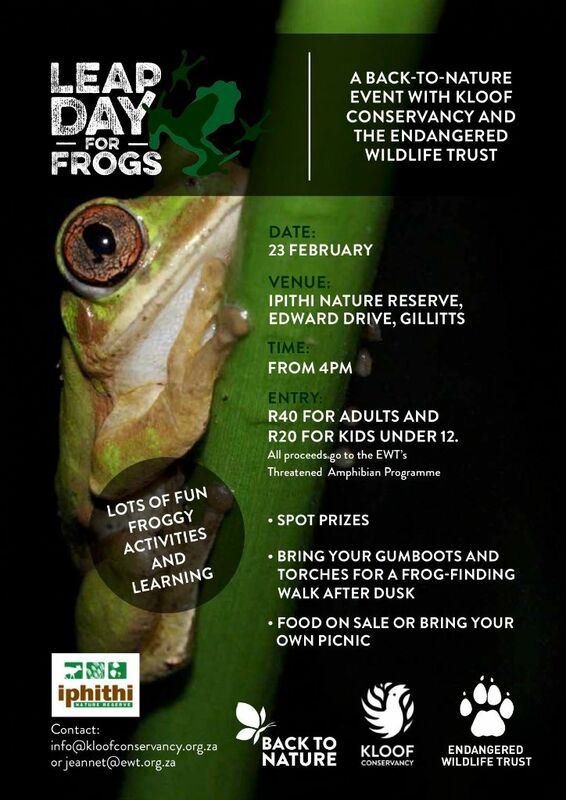 This event is part of the national awareness campaign to point the spotlight at frogs. 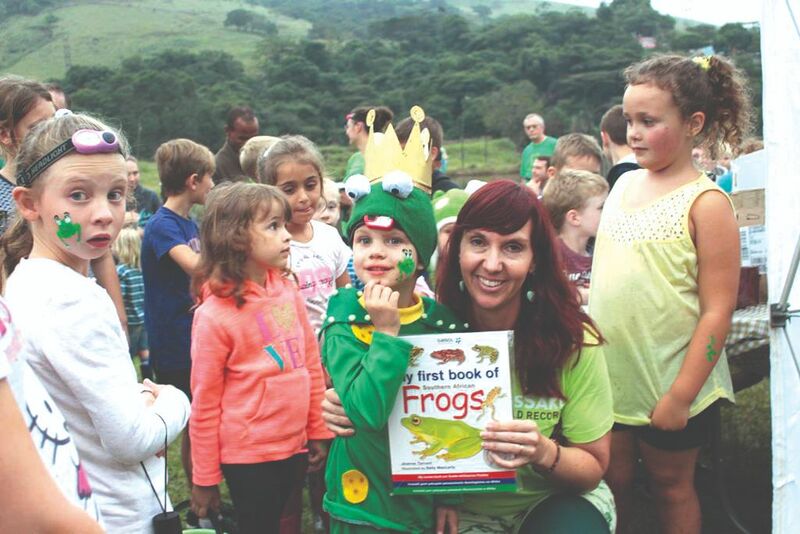 Join Kloof Conservancy for fun froggy activities and a talk by Dr Jeanne Tarrant followed by a search for Frogs in Memorial Park.